It is easy for us to be negative. It is easy to hate on other people and their creations. It is easy to complain and moan, and compare and contrast creative ventures against one another, desperately competing to see which one is ‘better’. All of this is easy. Learning to appreciate amazing and inspiring entertainment experiences seems harder to come by. Either by speaking to fellow gamers or by browsing the slanted and inaccurate statistics of the internet. 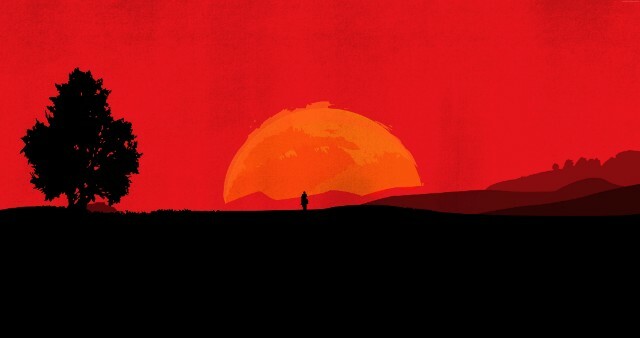 I feel the need, after playing Red Dead Redemption 2 for countless hours, to thank Rockstar for the incredible gaming experience they have created for me and for millions of others around the world. I use this platform respectively and with my intentions transparent to you because I truly believe we need more positive, honest appreciation for the truly great and wonderful games that are released. Period. I understand that it is more difficult within the gaming industry of 2018, which releases what seems like hundreds of games a week, to appreciate not just the games which are actually good, but great, since there is so little time available to actually allow us to experience all the good and great journeys released. With more and more poor and average games flooding the market, naturally, the outstanding games seem to shine at the top brighter than ever before. At least it seems that way to me. With all this being said, I am more bewildered than ever to see the desperate attempts at confining and comparing these magnificent breathtaking experiences within the frame of one year. One year out of a lifetime. A lifetime out of the history of mankind. The history of mankind out of the history of the universe. It seems redundant to me to set this frame of when we can compare games, i.e. year, decade, generation, as why do we set this time frame over another? Perhaps it is an obvious choice from an internal perspective, I’m not sure. Secondly, to compare these games with the competitive manner that we do. It is a truly sad time for gamers everywhere when we have what is absolutely the best time to be a gamer. And yet, there is so much emphasis on what a game does wrong, rather than what it does right. Let’s just take a step back and briefly assess where we are right now as consumers of this fantastic entertainment experience. Nintendo release the Switch: a dream come true for handheld and Nintendo fans everywhere. Sony looks to be selling 100 million PS4 units within the systems lifetime, becoming one of the most successful consoles ever. Xbox is preparing for what could be their greatest exclusive line-up since the Original Xbox, in terms of both hardware and software. In terms of software, in the last two years alone we’ve had: Zelda: BotW, Horizon: Zero Dawn, PUBG, Fortnite, Red Dead Redemption II, Fallout 76, Spyro: Reignited Trilogy, Crash Bandicoot: N-Sane Trilogy, Celeste, Cuphead, Wolfenstein II: The New Colossus, Forza Horizon 4, Shadow of the Tomb Raider, Hellblade: Senua’s Sacrifice, Middle-Earth: Shadow of War and possibly the best two Assassin’s Creed games ever made in Origins and then Odyssey. Why do we ever feel the need to complain when there is so much to celebrate?